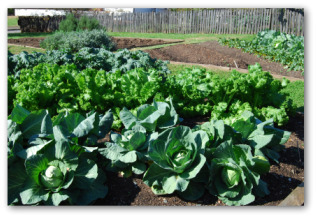 Easy tips for how to grow kale in your backyard vegetable garden. 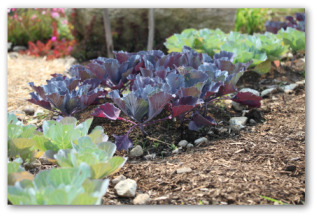 Learn when and how to plant kale, about harvesting kale, and uses for ornamental kale. Kale is a member of the brassica family of cool season vegetables. Kale is a hardy variety of cabbage with curly, dark green leaves. 1. Plant this cool season vegetable where it receives full sunshine to partial shade. 2. The plants prefer loamy, well-drained, moist (but not soggy) soil of average fertility. 3. The soil should not be too rich in nitrogen, with a pH of 6.5 to 6.8. 4. Extremely light, sandy soils and very heavy clay soils adversely affect the flavor of kale. 5. Nutritious kale makes an excellent fall crop. 6. It grows best during cool weather and its taste is improved by exposure to frost. Start seeds indoors 5 to 7 weeks before the average last frost date. Transplant outside in the vegetable garden from 2 weeks before to the week of the last expected frost date. Alternatively, you can direct-sow 2 to 4 weeks before the last frost date or as soon as the ground can be worked in the springtime. Before planting, mix about 5 pounds of 10-6-4 fertilizer per 50 square feet with the soil. Although, seeds will germinate in cool soil, they sprout best when the soil temperature is around 70 degrees. For sowing a fall crop, direct-sow 10 weeks before the first expected fall frost. In Zones 8 to 10 you can sow in fall for a winter or early spring crop. Soil temperature must be 40 degrees or higher for good germination. Sow seeds ½ inch deep. Plants grow best when the soil temperature averages between 60 and 65 degrees. Kale does poorly in heat. Space plants 12 to 15 inches apart in rows 18 inches to 24 inches apart. In beds, plant kale 15 to 18 inches apart in all directions. Make several succession plantings 2 to 3 weeks apart to prolong the harvest in spring or fall. Kale matures in from 55 to 65 days from planting seed. Kale can be left in the ground, ready for harvesting as needed, throughout the early winter and sometimes even longer. Spring-sown kale will continue to grow throughout the hot summer months. However, the leaves will be bitter and tough. To harvest the sweetest crop, keep spring-sown kale growing through the fall and begin harvest only after the leaves have been touched by frost. In some northern regions, kale can be banked with snow and harvested throughout the winter months. 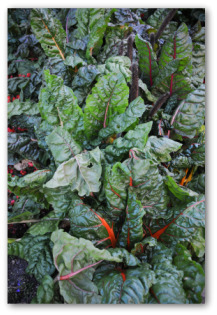 In milder climates where kale is tolerant of mild frosts, they make a spectacular showing of colorful foliage. 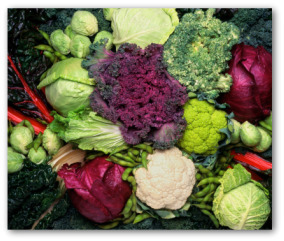 Ornamental kale grows in colored varieties of white, pink, fuchsia, green, red, and purple leaves. If you are interested in planting big, bold foliage plants, try a plant such as sea kale. It grows 3 feet tall, bearing glossy, blue leaves. The tender spring shoots can be blanched and eaten. Another variety ‘Colewort', towers over 5 feet tall. Its flowers billow out in a huge baby's breath-like flower head display. Now that you know how to grow kale, we want to share tips on using this cabbage variety. Kale is rich in the vitamins and elements needed for good nutrition. Use the vegetable in recipes as you would cabbage. It is especially good when cooked, drained, mixed with a cream sauce, covered with breadcrumbs and butter, and baked until the top is brown.